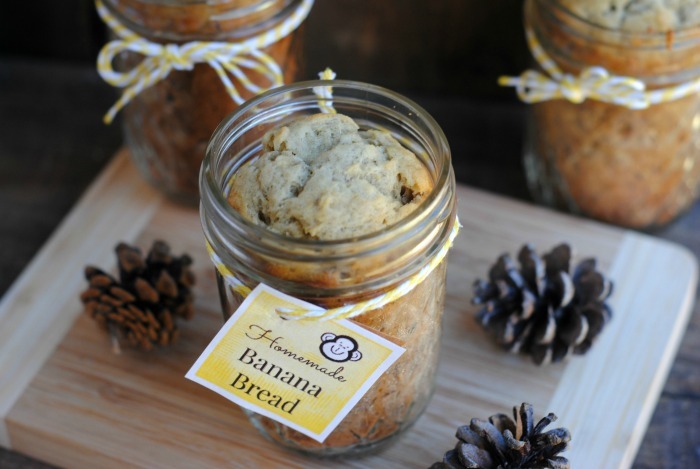 Banana bread is so yummy and perfect for cool crisp fall days. 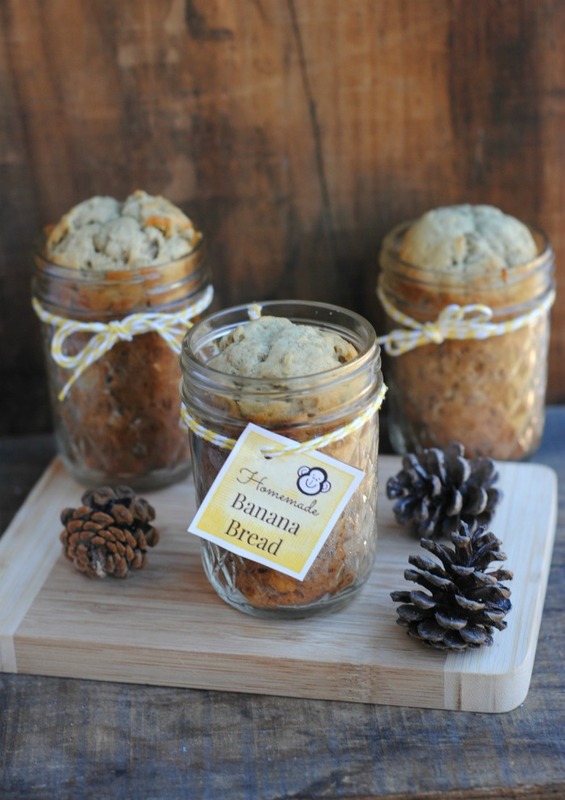 Banana bread is great to share with friends and family too. Making it in individual jars makes them fun and unique. Simply make and bake, then print the gift tag out and attach with twine and close the lid and give away. Easy and heartfelt. Preheat the oven to 350 degrees and spray the jars with non-stick cooking spray. Combine all ingredients, mixing well. Fill the jars approximately ½ way. Do you love to bake? Or simply crave a great diy project? 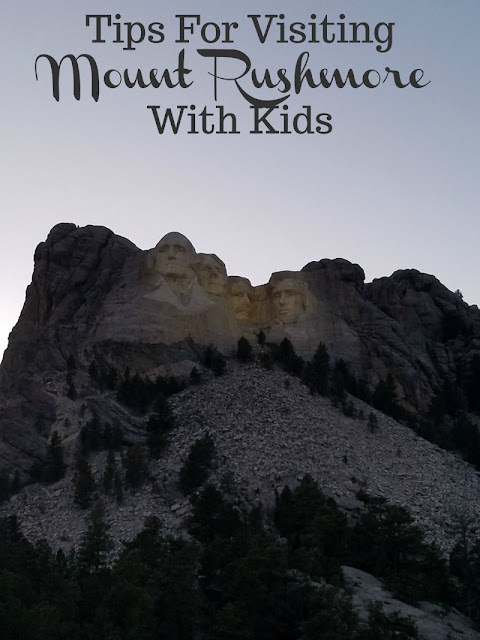 Visit Iowa Mom Recipes for more great dishes to keep you busy and them running back to the table for more. This looks delicious. I really like homemade gifts like this. I would enjoy getting or givig this as a gift.